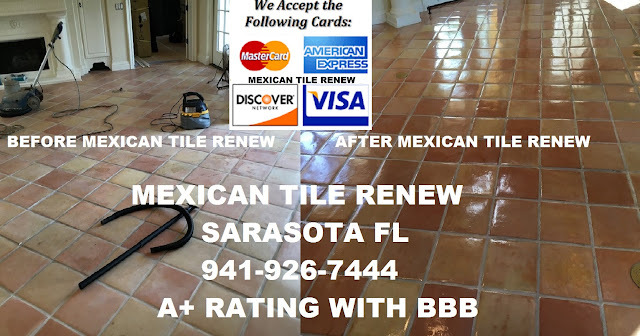 MEXICAN TILE RENEW PROJECT IN BRADENTON FL TO REMOVE PAINTED FAUX RUG FROM TILE. We Make Like New the Good the Bad and Just Plain Ugly Floors. Call Vel at 941-926-7444 for pricing. 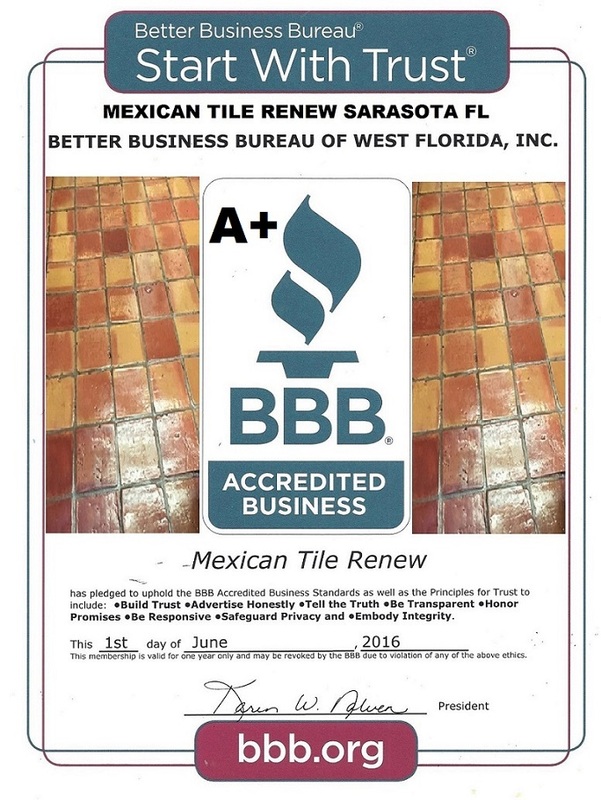 MEXICAN TILE RENEW PROJECT IN BRADENTON FL TO REMOVE PAINTED FAUX RUG FROM TILE. Never us vinegar or harsh chemicals to clean your Mexican tile floor, these cleaners will ruin the applied finish and discolor the tile, Mexican Tile is not Ceramic tile, it does not have a kiln backed on finish. The glaze you see in ceramic tile is baked on in kilns at temperatures ranging from 900F to 2500F, Mexican tile has an applied finish by hand.